Celebrating an Important Anniversary of an Annual Favorite! “Viva Mexico” and “Viva la independencia” are cried loudly in the streets throughout Mexico on September 16th every year as the country celebrates its independence from Spain. It was on that date in 1810 that Miguel Hidalgo implored his fellow Mexicans to rebel against Spain in a town called Dolores, which is located in the northern-central part of the country. Hidaglo was captured by Spanish forces and executed less than a year later, but Mexico gained its independence on September 28, 1821. 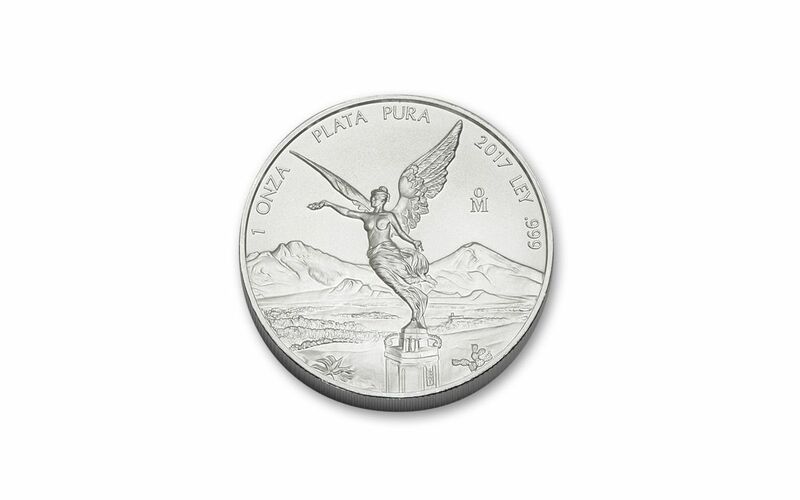 The country’s proud heritage and fulfilled dreams of independence are embodied in Winged Victoria, a statue that stands atop the Mexican Independence Victory Column in Mexico City. 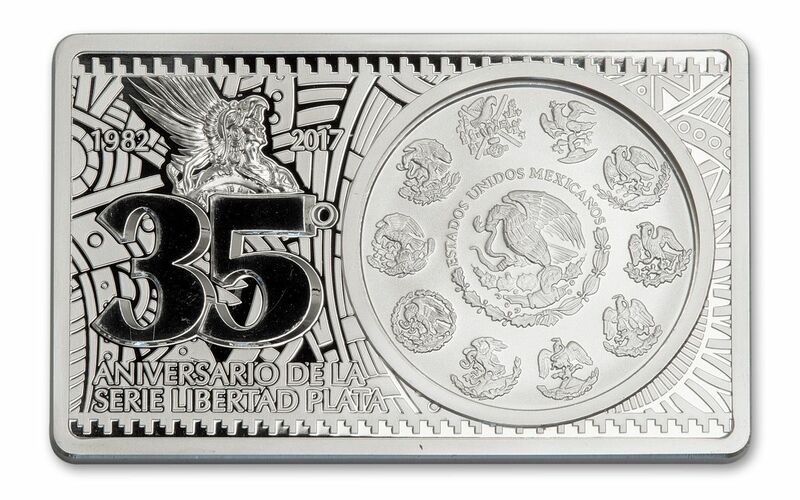 For thirty-five years, that statue has represented Mexico on the reverse of its bullion coin, the Libertad. 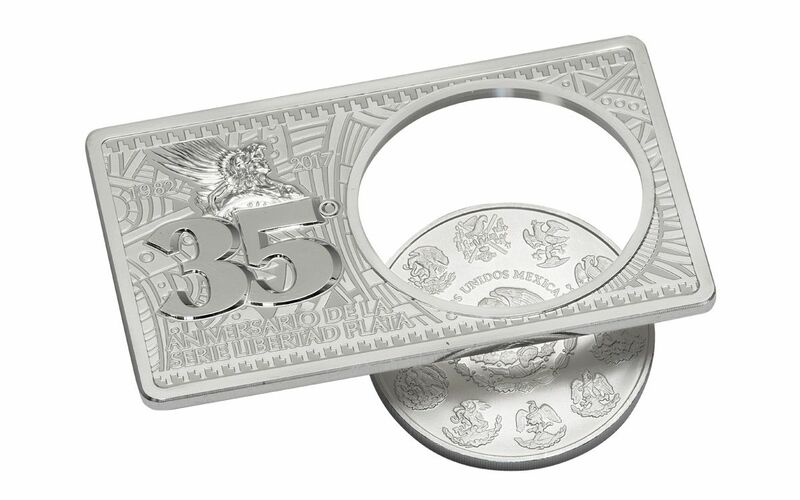 SIXTH ISSUE OF THE WORLD’S MOST FAMOUS BULLION COIN BAR – There are several popular bullion series around the world, but this 3-oz coin bar is unique. It combines the traditional, classic look of the iconic Libertad with an artistic bar that holds it. 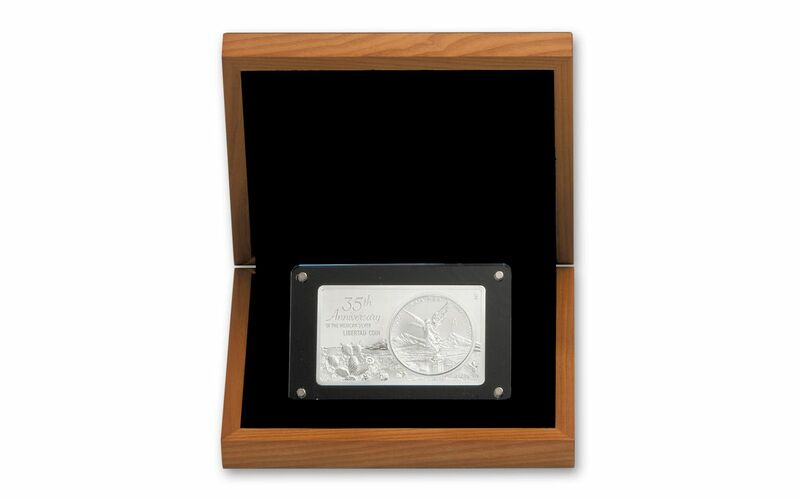 GORGEOUS REVERSE-PROOF BAR – Both the coin and the bar in which it is set were struck from 1-oz of 99.9% fine silver. The bar has a reverse proof finish that offers a stunning contrast to the business strike coin. 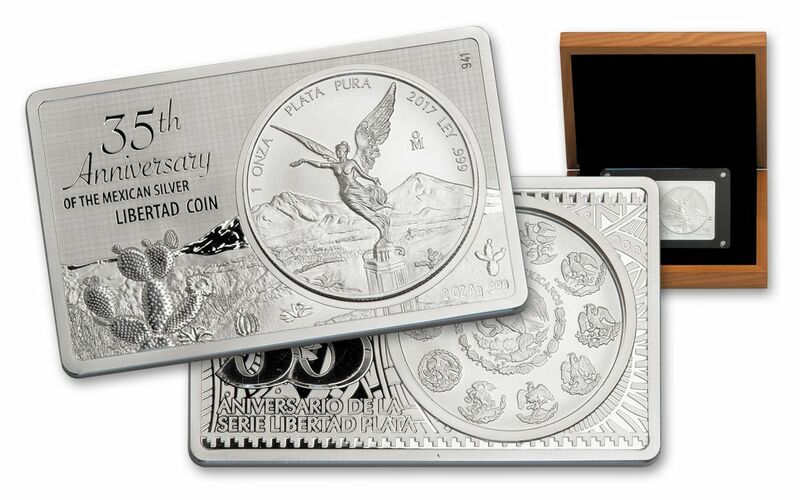 COIN BUT NOT LEGAL TENDER – Governments that issue bullion coins typically assign them nominal face values, but the Libertad shares the unique distinction of being a government coin that has no face value with the South African Krugerrand. Mexico has a rich history with some of the most important pre-Columbian ruins in the Americas. 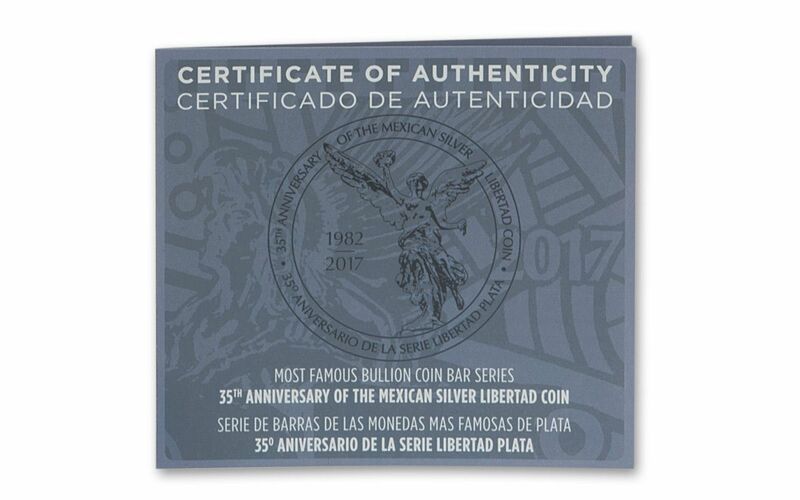 EXCELLENT EXTRAS – This Libertad coin bar comes in a wooden display box along with a Certificate of Authenticity. 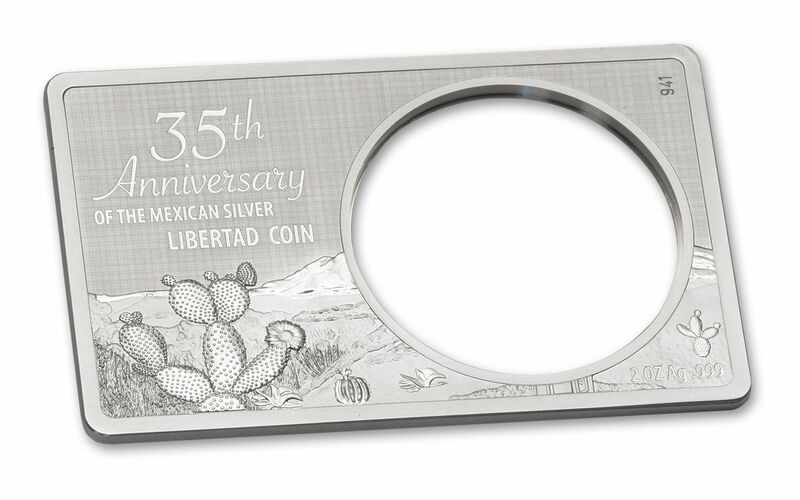 A LIMITED MINTAGE – Collector interest in this coin bar is sure to be high, but just 5,000 pieces were issued. Patriotism can be found throughout the world, but there are few countries whose citizens wear that patriotism on their sleeves more powerfully than Mexico’s. The vast country has a fascinating mix of cultures, with the Spanish and Native American influences both contributing heavily to it. Its natural beauty, some of which is on display in the background behind Winged Victory in a pair of volcanoes, Popocatépetl and Iztaccihuatl, is both plentiful and diverse. 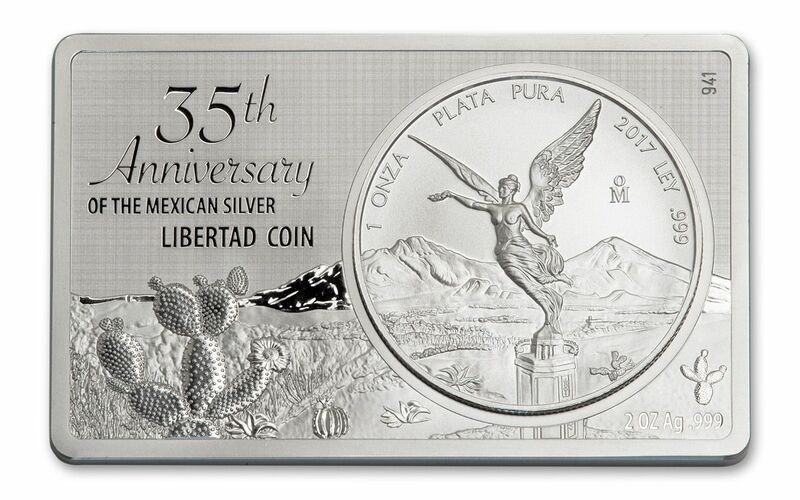 This unique piece that celebrates one of the most popular coins in North America will not be available for long, so place your order at GovMint.com today!